kawasaki.com finally updated. The U.S. is getting the H2 SX, as everyone expected. :o :o this is much better than I expected, considering European prices. This is even cheaper than Canadian msrp isn't it? My dealer reached out to me this morning. Dealerships can start making orders on Dec 5th. Any words from dealers out there? Mine said it was available to order, but paying straight MSRP + all the related fees. Do the dealers know their costs yet? I know it's a brand new bike, so not sure if anyone would budge on the price, but I'm curious if there is a huge margin and it's better to just wait it out until they are willing to start making deals. My dealer said he's not heard anything on allocation yet, but he expects it will be pretty limitd. don't expect to go into the dealer and see 5 sitting on the floor. I bet U.S. dealers are only allocted 2-3. I also heard some might be avail by end of January. 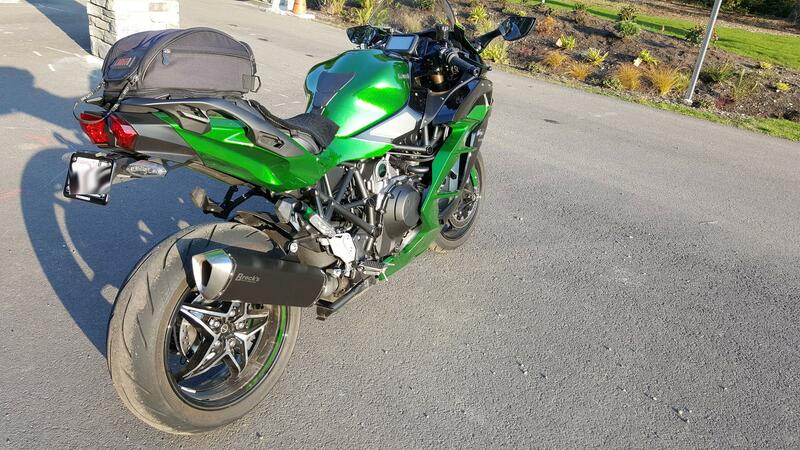 I ordered my bike from a Canadian Kawasaki dealer on November 22th 2017 (Canadian prices have been posted on kawasaki.ca since mid November) Kawasaki Canada told them and other dealers that the SE model will be limited to ONE per dealership. My dealership tells me my bike should be available by the end of January/early February. kawasaki.com.au says the bike will be available then. Crazy. Well, I ordered mine this week (SE). Hope I get an ETA soon. I'm guessing late Feb or early March, dealer doesn't have a clue. So excited about this bike! When I put my deposit down the dealer said it would be mid January early February for the estimated shipping. But they got the Z900S they had ordered a couple days early.